Talent is about 90% a function of putting in the work, but it’s hard to put the work in for something you don’t feel any connection with. Plus, sometimes you have a pressing need where you don’t have time to get good enough to do it yourself. Lots of people hate to write. If it’s just a phobia about hitting those keys, you can try speech recognition software, which can be a fantastic time-saver. But if the thought of writing is about as appealing as dental surgery, you’ll never put the work in to get good. Do more of what you’re good at and less of what you hate. If writing isn’t for you, hire or partner with a really good writer to make sure that part of your business is getting the attention it needs. It doesn’t matter how fantastic your product or service is if you can’t communicate that to customers. Every company needs to communicate a powerful message — and that means you need strong writing. Even if you love writing, there’s a limit to how many words we can consistently get onto the page or screen every day. Marathon writing sessions can work for some people, but they can also lead to burnout and sabotage your productivity in the long term. Professional copywriters know “the more you tell, the more you sell.” And that’s even more true in the content marketing world — the more high-quality content you can create, the more authority and customer connection you can build. Just realize that you need to understand the strategy behind the content you’re creating. Don’t add a writer for the sake of getting more words generated. 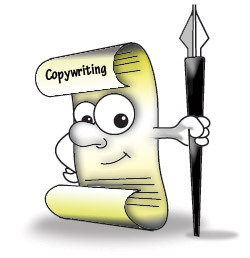 Understand the business purpose behind all the copy you create, whether or not you do the actual writing. Realize that you’ll pay more for a copywriter with specific expertise, rather than a generalist … just like you pay more for a Mercedes mechanic who’s been in business for 30 years over some kid at the quickie oil change who’s always wanted to try fixing a Mercedes. You know all the blood, sweat, and tears you put in to make your product or service great. (In other words, the features of your business.) You understand the details behind the scenes. But your customer may have no interest at all in those things. In fact, they might care deeply about something that’s barely on your radar. Just make sure that your writer is looking at real customer feedback. This could come from survey responses, from social media listening, or from conducting interviews with customers. Your copywriter should have direct access to real customer language about why people like doing business with you. If you’ve got a big launch or an important marketing campaign, you need to make sure your copy is making a great impression. You know the customer you want to reach. You know the little details that will make your copy more interesting. No one will ever know your business like you do, and you need to recognize the hidden remarkable benefit that becomes your best marketing story. That’s why it pays to study copywriting and marketing even if you turn over every word to someone else. A terrific copywriter can make you sound fantastic — but as the business owner, you’re the one who’s ultimately responsible for your story. This entry was posted in English Posts and tagged copywriter, copywriting, SEO. Bookmark the permalink. Post a comment or leave a trackback: Trackback URL.